stark, die heutige Einheit und Freiheit nur Ideen waren. wurde u.a. bereits in New York und Washington gezeigt und mehrfach ausgezeichnet. 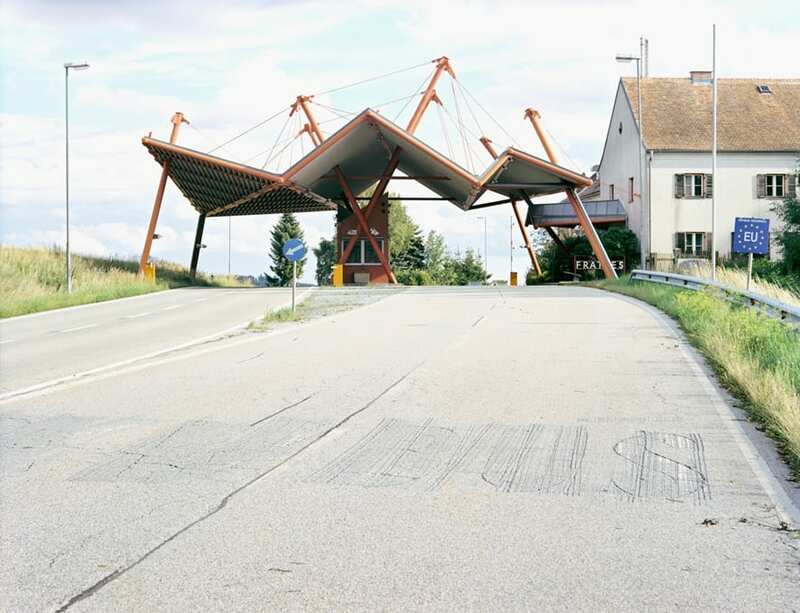 The „After Schengen“ series shows old border crossing points between different states in the European Union. After the Schengen agreement, most of these old checkpoints remain abandoned and out of service, allowing us to gaze into the past from the present. It causes many reflections, especially in a moment that EU project it is severely discussed. 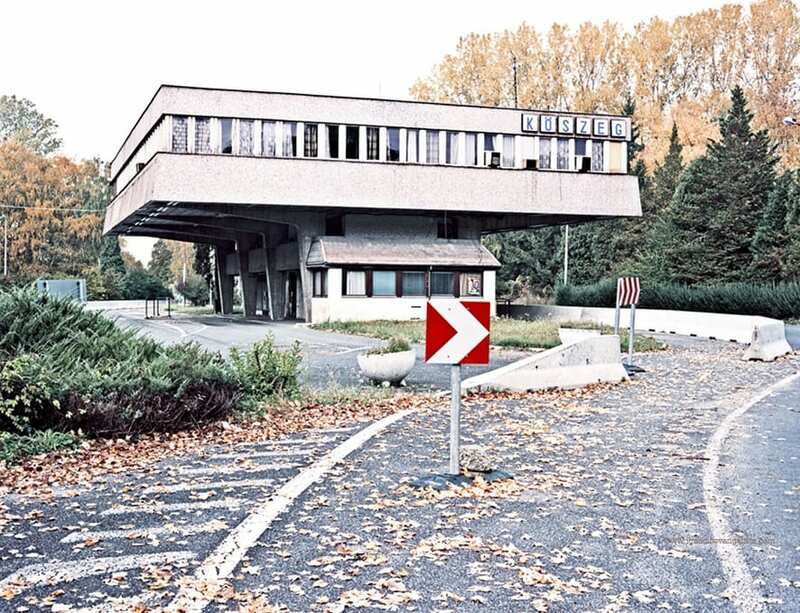 These places that prior the Schengen treaty, delimited territories and in which the traveler had to stop and show his documents, currently appear as abandoned places, located in a space-time limbo, out of use and out of the time for which they were designed, as these states have opened their borders to the free movement of people. Border crossings have a function of geographical boundaries, but also a coercive role, since they prevent the free passage of people between one and another state. So, they are places that, along with a cartographic dimension, are provided with historical, economic and political reminiscences. 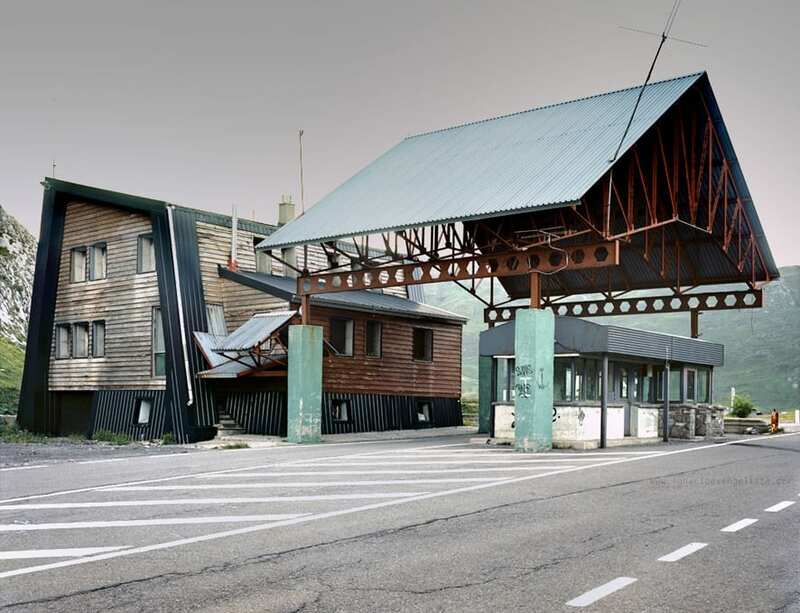 These old border crossing points are slowly disappearing; some are renovated and reconverted to new uses, some are destroyed for vandals, and some other just fall down due to the passing of time. So, after some few years there will be no possibility to look at this strong signs and symbols of the recent European history.